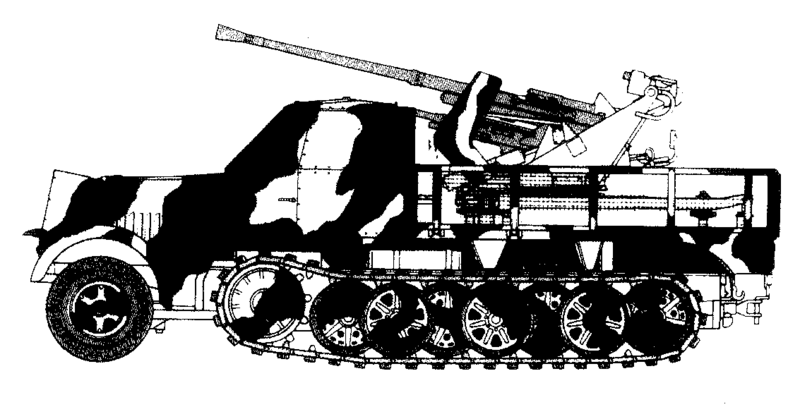 3.7 cm anti-aircraft gun on semi-tracked vehicle. The German V2 activities came under attack many times from the Royal Air Force. The transport of the rockets by rail and the rail trucks containing liquid oxygen were under the protection of mobile anti aircraft guns [Flak]. These guns were also mounted on railway wagons. In the organisation of the V2 batteries a platoon of 3.7 cm anti-aircraft guns was also included, which were mounted on half tracks. The protection of the V2 operations was found to be so important, that extra anti-aircraft guns were deployed; this also included the main gun emplacements on the coast, known as the Atlantic Wall. Streets were repaired before positioning the AA-guns and the launching of the rockets. The resistance took note of these actions and informed London. 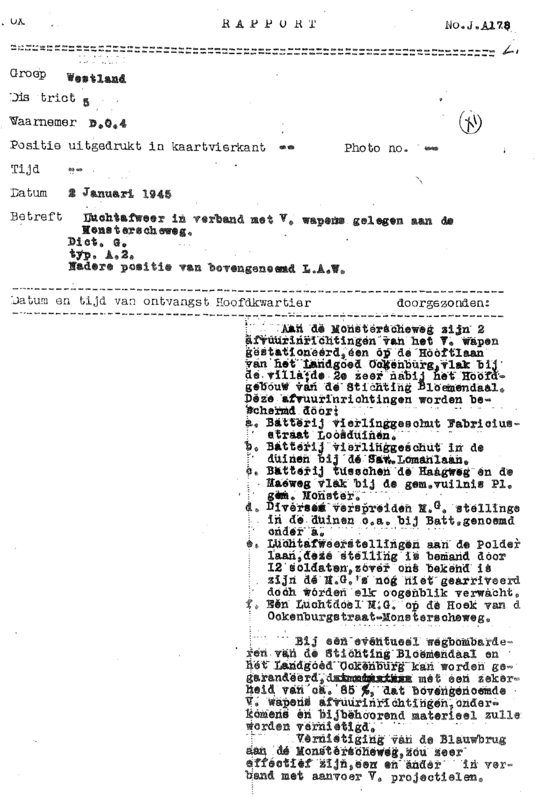 Resistance report about the positioning of mobile anti-aircraft guns to protect V2 operations6. In 1945, for protection along the Monsterseweg, a 2 cm quadruple anti-aircraft gun was placed along Pieter de Hooghplein on half tracks. In addition to this were the Atlantic Wall anti-aircraft gun emplacements along the coast to stave off any air attacks.